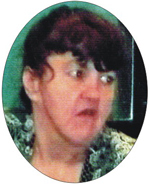 GOODLAND — Jean Gaschler, 57, of Goodland, died Oct. 11, 2013, in Denver. Jean was born in Ness City, on Oct. 22, 1955, to Winifred I. (McKittrick) and Henry A. Gaschler, of McCracken. Since 1988, Jean lived in Goodland and leaves behind her dear friend, Carrie Babcock, and exceptional friend and caretaker, Merla Staehnke. Merla honored Jean’s love for fun by accompanying Jean to music concerts in Denver, sightseeing in the Rocky Mountains, trips to the Cripple Creek casinos and family weddings and appreciated Jean’s excitement and thrill about anything “Elvis,” her idol and love. Jean also says goodbye to her many special friends and to the staff at Golden West Skills Center in Goodland. Jean was preceded in death by her parents; and by brothers, Thomas and Donald. Survivors include her siblings: Elizabeth Riney, of Tucson, Ariz..; Judy (Richard) Anderson, of Hays; Ernest (Carol) Gaschler, of Palm Springs, Calif.; Johanna (James) Bachtel, of Salina; Jennifer (Brian) Scott, of Kure Beach, N.C.; Joan (Stuart) Ray, of Salina; Jacqueline Cairo, of Salina; Joyce Gorjiyan, of Salina; and Jill Gaschler (Dave) Holzwarth, of Denver; and many nieces and nephews. Cremation was chosen for Jean, and there will be no visitation. Graveside services will be held at 3 p.m. Saturday, Oct. 26, at Mount Calvary Cemetery, Salina, with Father Galen Hammerschmidt officiating. Ryan Mortuary, Salina, is in charge of arrangements. 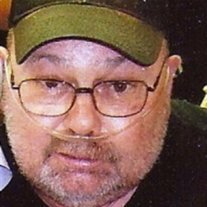 Jerry R. Schrimsher, 62, of Salina, passed away Friday, October 18th, at Salina Regional Health Center. Jerry was born in Plymouth, Indiana on September 14, 1951, to Samuel Schrimsher and the late Betty (Overmeyer) Schrimsher. Survivors include father, Samuel (Nancy) Schrimsher, of Alba, TX; daughters, Cassandra (Ryan) King, of Wolcottville, IN, Amy (Paul) Eastwood, of Wolcottville, IN, and Jeannie Schrimsher, of Salina; sons, Michael (Cara) Cook, of Middlebury, IN, and Jerry Schrimsher, Jr., of Howe, IN; as well as 3 brothers, and 7 grandchildren. 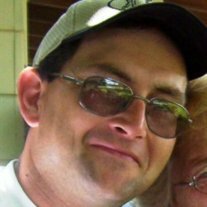 He was preceded in death by his mother, and son, Eric Schrimsher. Memorial contributions may be sent to defray expenses in care of Carlson-Geisendorf Funeral Home, 500 S. Ohio, Salina, Kansas 67401. Robert E. Willey, 42, of Bennington, Kansas, passed away Sunday, October 20th, 2013. Rob was born in Pittsburg, Kansas on March 27, 1971, son of the late Helen Ann (Powell) Willey and Jim Dale Miller. He worked as a Warehouse Manager at Crown Distributors for many years. Survivors include his wife, Angela of the home, daughter, Breanna; five sons, Colton, Dalton, Drayton, Tyler, Clayton; sisters, Teresa Crumpton and husband Steve, of Salina, Kansas, Darla Avila, of Arkansas, Susan Major, of Pittsburg, Kansas; extended family including aunts, uncles, cousins, nieces and nephews, his Crown Distributors Family; and many other special friends. He is preceded in death by his brother, Michael Miller. A gathering celebrating his life will be held Saturday, October 26, 2013 from 2:00 pm – 4:00 pm at Carlson-Geisendorf Funeral Home, Salina, Kansas. Please come as you are. Memorial contributions may be made to the family c/o Carlson-Geisendorf Funeral Home, 500 S. Ohio, Salina, Kansas.